Pamela Kay Aug 15 2018 10:41 am It's time for this handsome fella to have the lead in a romantic drama. ellie May 31 2018 6:31 pm OMG! He's such a scene stealer in Hwrang! I keep waiting for him to be the main character. I would love to see him with Min-ho as siblings. There is something about the two of them that is so familiar...I dunno if its the eyes or the mouth, but I would love to see them as the main two male leads in a drama. Lizbeth Dec 29 2017 8:51 am Oh my Gasshh!!! He is just the icon of beauty. That face is what you call truuee handsome and beauty, he is what they truly call, a pretty boy, hahaha. Labyu baybs..
Tami Nov 26 2017 3:19 am I love him!! Daisee Jun 09 2017 5:17 pm I love this actor on so many levels my favorite series's is Hwarang!!!! I call him pretty boy a lot! Cαт ( 조윤우'ѕ wιғe ) May 31 2017 5:43 am Oh my baby boy ❤? tttt May 20 2017 2:16 am he will do a movie together with the Filipina actress.. looking forward!! fighting! 민윤기융 May 02 2017 8:55 am I remember his role in Cyrano! He's so handsome thoughXD Anyone noticed him as SVT Jeonghan alike in Hwarang? XD Anyone? Udani Apr 17 2017 9:48 pm He is totally looks like key(shinee),, ????? Jra Apr 03 2017 11:04 am Didnt notice he and hyunsik from zea also worked together in the drama The Heirs aside from Hwarang..
Loveless Mar 19 2017 10:43 am Am I the only one who googled him because he resembles Key so much? Ocheek Jan 28 2017 7:27 am He really look like Key.. He is hansome and pretty..
marisol Jan 04 2017 9:19 am He is good at acting. I like him to be in a girl role. He is really cute and pretty ? nolza Dec 23 2015 10:23 am He was play in Perfect Proposal Movie, i know right. ahnaji Jul 12 2015 2:41 am Looking forward to your next main role. You have such a lovely pretty face. 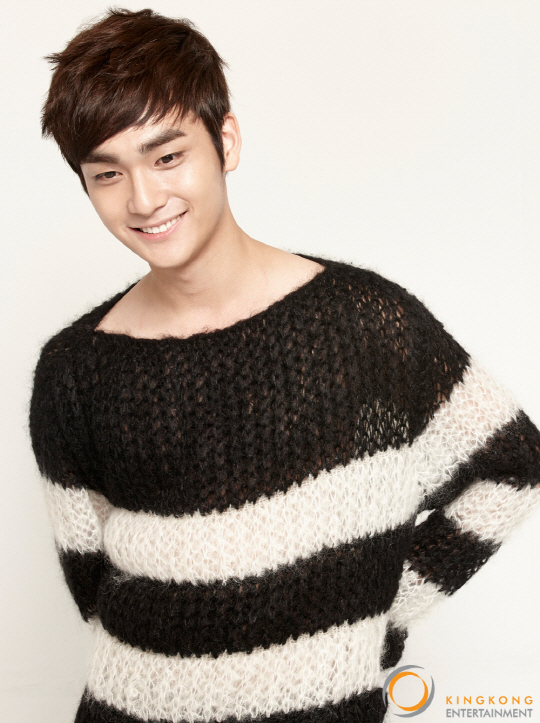 Anna May 08 2015 4:43 pm I've been watching K-Pop extreme survival and all i keep thinking is that he looks like Aron from Nu'est! chazwu Jun 06 2014 12:51 pm He's really good in acting especially in Dating Agency as Arang~~ Pretty boy! Nathalie Oct 29 2013 12:36 pm He's also in Ugly Alert and he has lines. So why isn't he credited? Ajkhc9095 Oct 10 2013 8:27 am He's the one being bullied in Heirs right? farah Oct 10 2013 6:50 am wan't he the guy who was beaten at heirs?!!! angelina722 Sep 13 2013 8:53 pm He really looks like Key from SHINee! miss.vanpurple13 Jun 26 2012 5:25 am he looks like SHINee's Key.. he very handsome.. aigoo.. anyone know his twitter?? please answer..hehe. Annon Jan 26 2012 9:35 pm He looks like Key from SHINee o.O Am I the only one who thinks this? anna Jan 24 2012 5:06 pm i like it! angel boy! snooglebunch Dec 30 2011 7:19 am awwww :3 his sooo cute! i want to see him more in dramas! JoonA Dec 09 2011 6:12 pm he looks like key^^ maybe because of his thick eyebrows..